We offer appointments to help shorten wait times for our clients. Call our receptionists at your convenience. We check email requests when not attending clients in the clinic. We try to accommodate those requests, but allow us to contact you to confirm that our doctors are available at the time you would like. If you feel you have an emergency with your pet, please call us or come to the hospital immediately. If possible it is best to call before coming in so that a staff member can advise you on your particular emergency. Urgent care cases can be seen even if appointments are full, but help us serve you better by calling first when possible. We are also available for urgent care when a non-life-threatening condition makes you feel your pet needs to be seen before you can get an appointment. Our veterinarians will work to see you in between scheduled appointments. When you arrive, our receptionists will be able to give you an estimate on how long you may have to wait to be seen. In some circumstances you may be able to drop off your pet for our doctors to examine at their first opportunity. 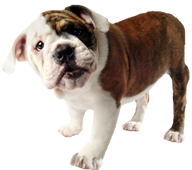 Northwood Veterinary Clinic accepts payment via cash, check, MasterCard, Visa, Discover. So that we can continue to provide you high quality service utilizing the best medical technologies, we request that payment be made at the time services are rendered.